Right from the beginning I knew that this body lotion would be nothing like my beloved Garnier Body Tonic but I was eager to try it nevertheless. The texture is extremely pleasant as it is rich and moisturising but also light and easy to handle. It smells a bit like bubble gum but quite decently. 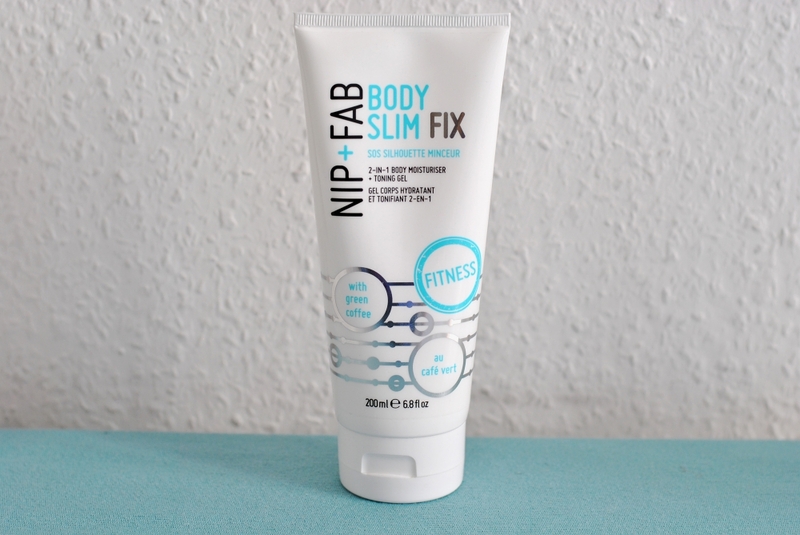 I applied it on my arms and belly but didn't notice any changes so far. Maybe when I'll use it more regularly? I will keep you updated on that so keep an eye on my upcoming empties posts. I was hoping that this product would help keep me motivated to go to the gym and so far I still am. 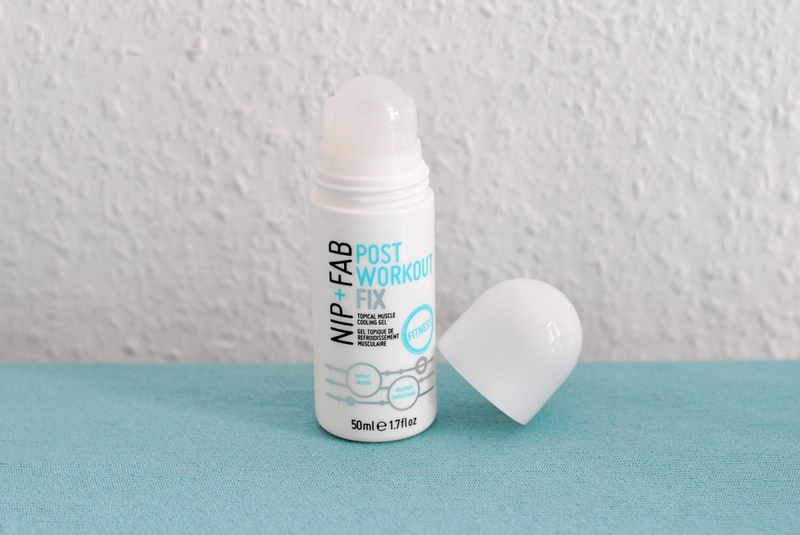 It is indeed really cooling and refreshing but I'm not sure if it prevents sore muscles or rather causes them because wherever I applied the gel, that was the spot that was aching most the other day. I will keep on using it but as I couldn't see any positive effect I won't rebuy it. 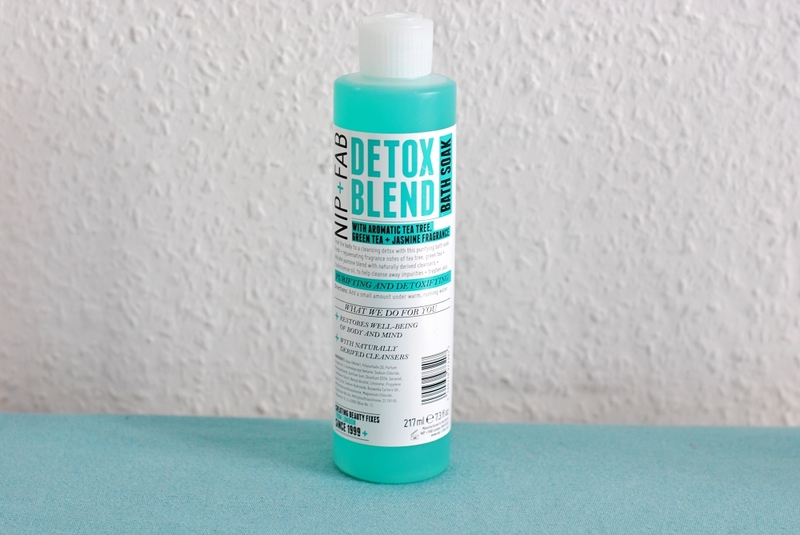 I basically bought this bath supplement because it said 'detox' (and I'm currently obsessed with everything detox) and because I ran out of bath bombs. However if you're looking for something fun and bubbly this isn't the right product. It does make a little foam but that's about it. What it does is to smell nice and fresh (but not really intensely) and to allow you to relax. After taking a bath with this supplement I didn't notice any change on my skin so in fact I wouldn't repurchase the product. What do you think after reading the reviews? 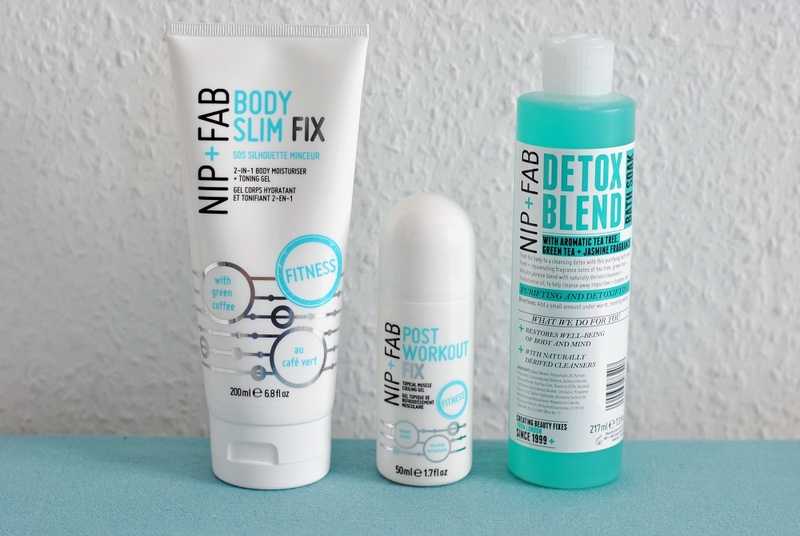 Would you wanna try any of the products or have you already made own experiences with Nip+Fab products? Haven't heard of these products before. so thanks for sharing. Will have to try it! I am pro-detox! I like detox products too. I would like to try it but these may not be available here in Canada. I'm always leery about products like this. The last one I tried was by Bliss and it didn't do anything either. And this stuff is pricey! Oh well. Great review. I haven't heard of this brand before but after reading your review I guess I will pass on these products especially because they are a bit pricey. Yeah, I would perhaps try them too if I had a voucher. The packaging looks good for sure!